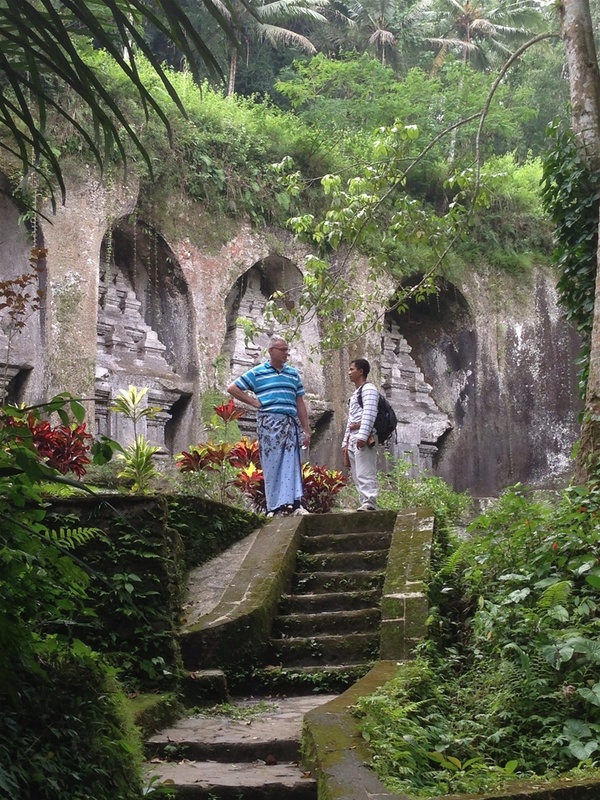 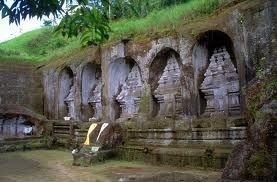 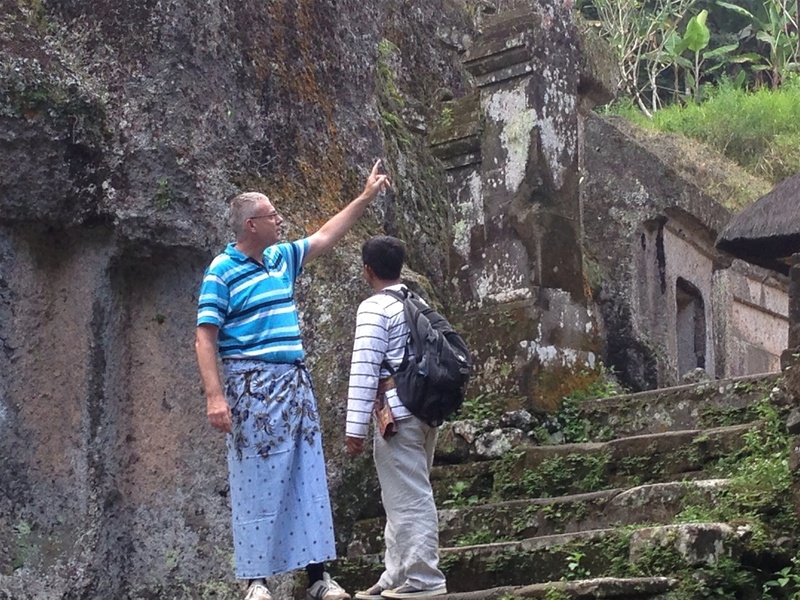 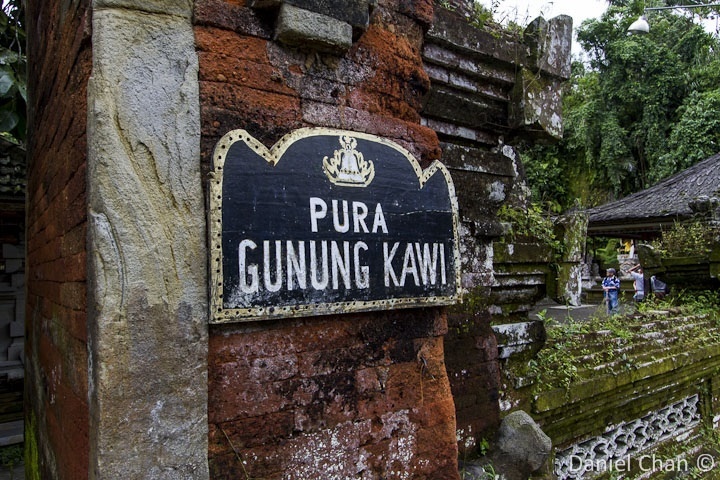 Gunung Kawi is an 11th-century temple complex. 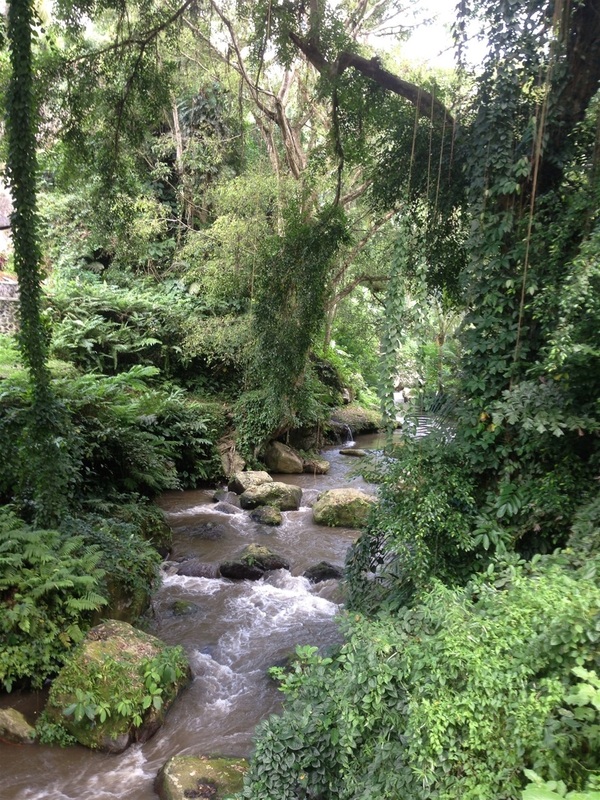 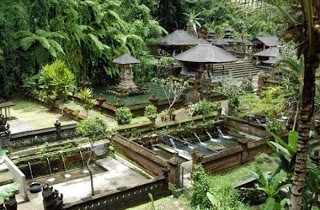 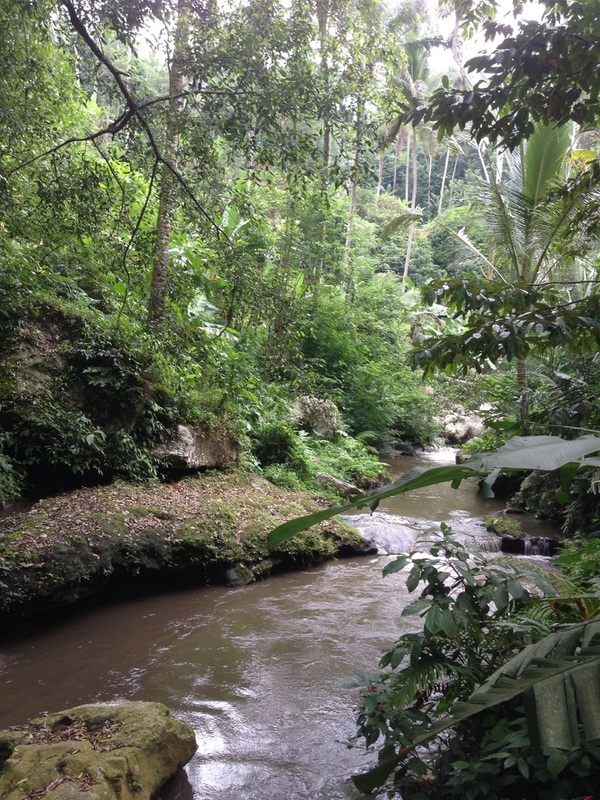 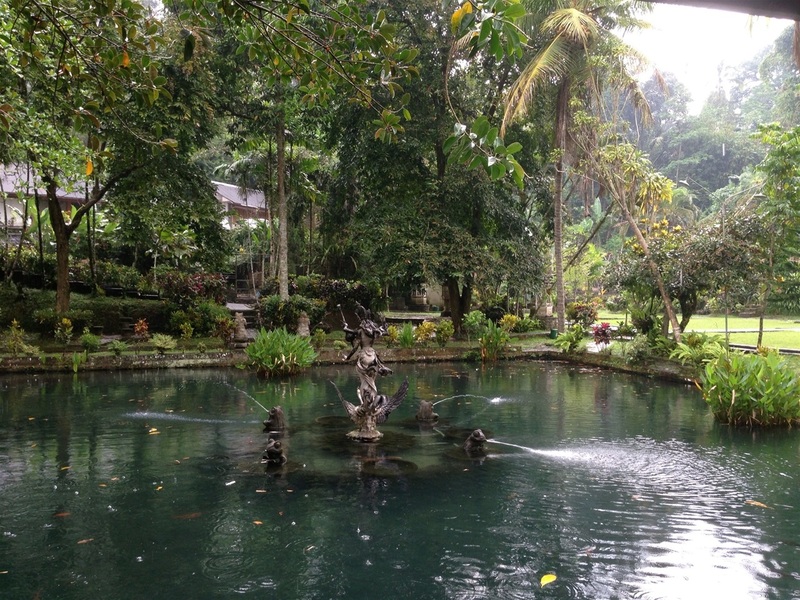 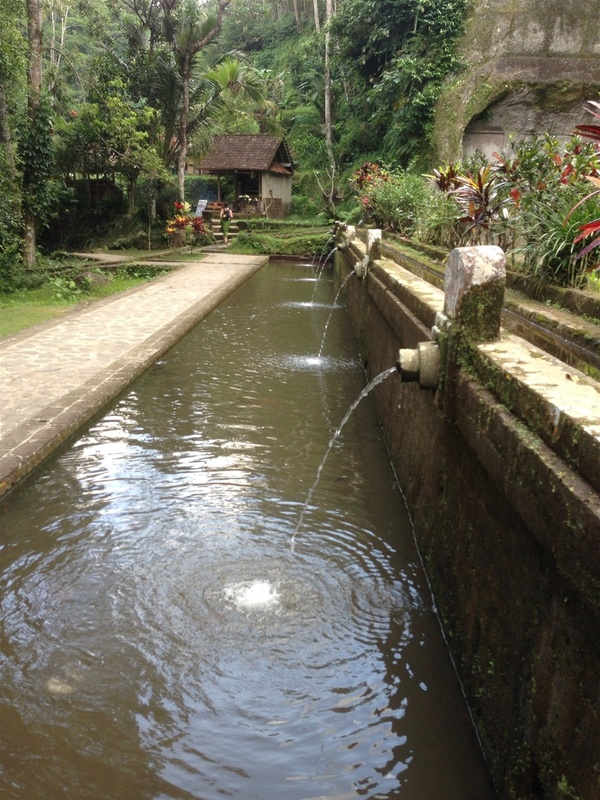 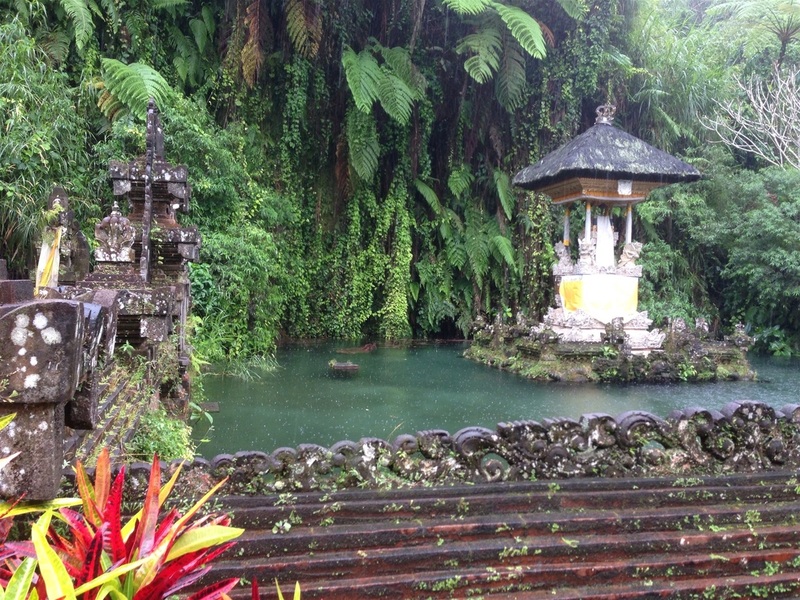 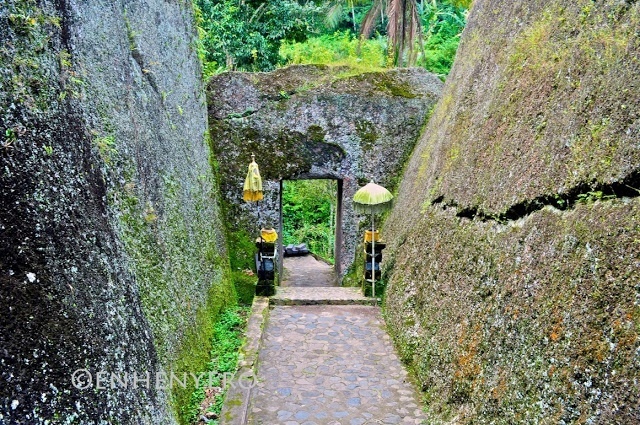 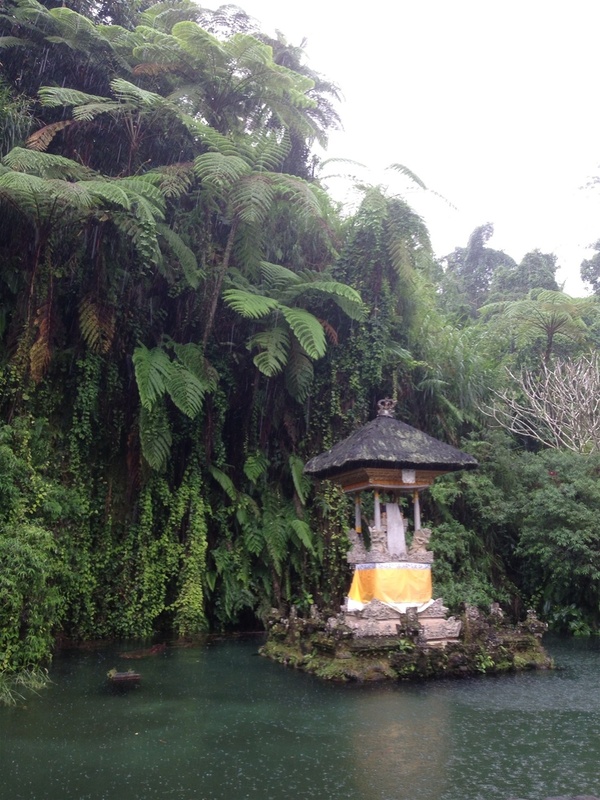 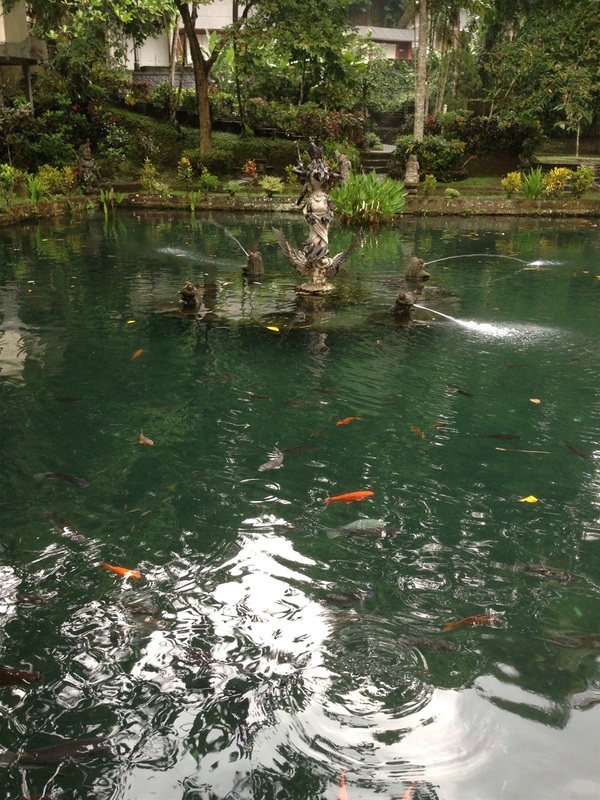 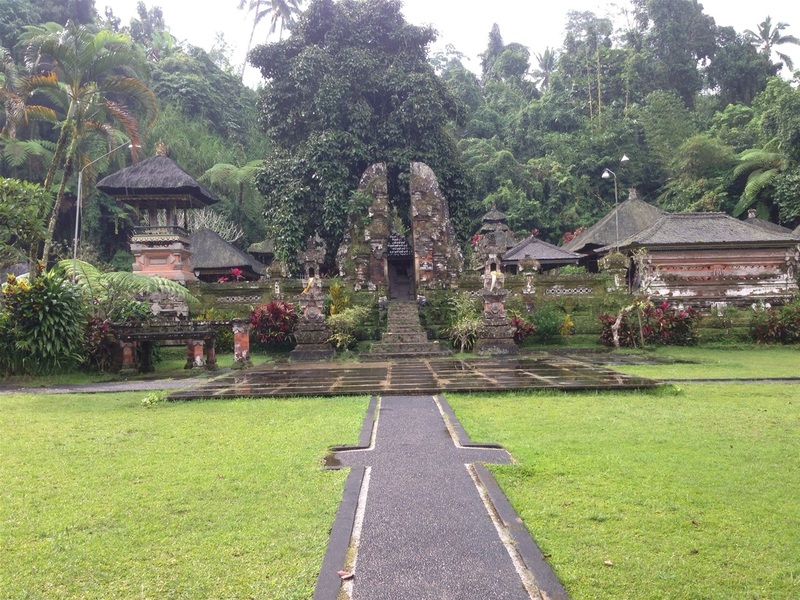 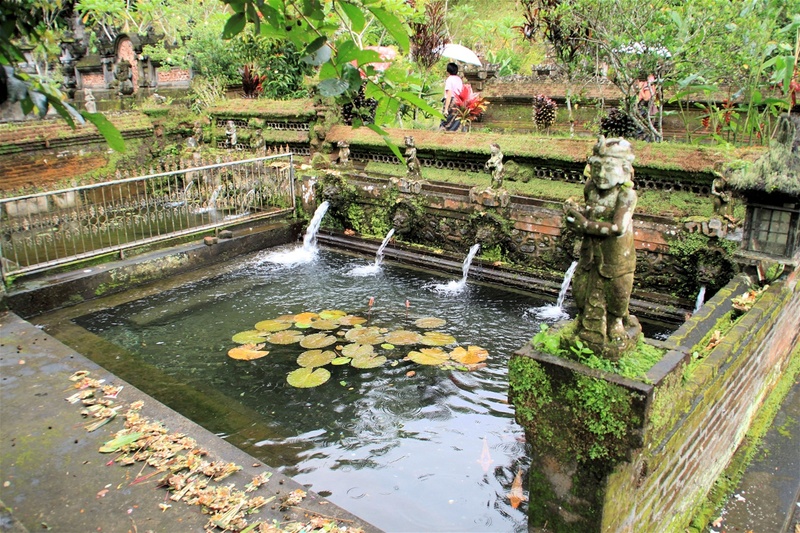 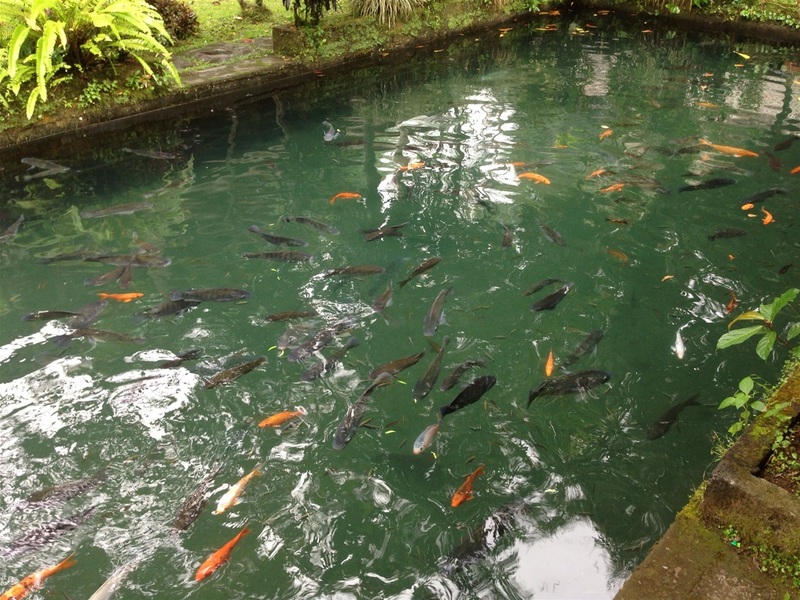 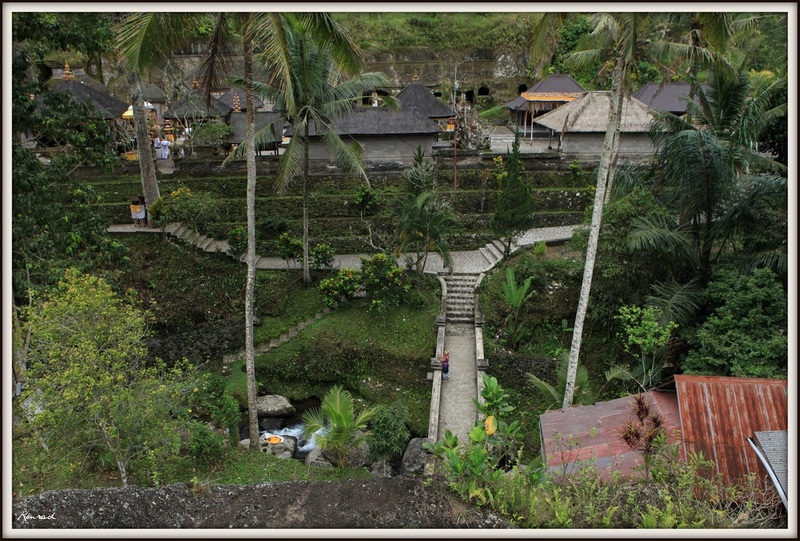 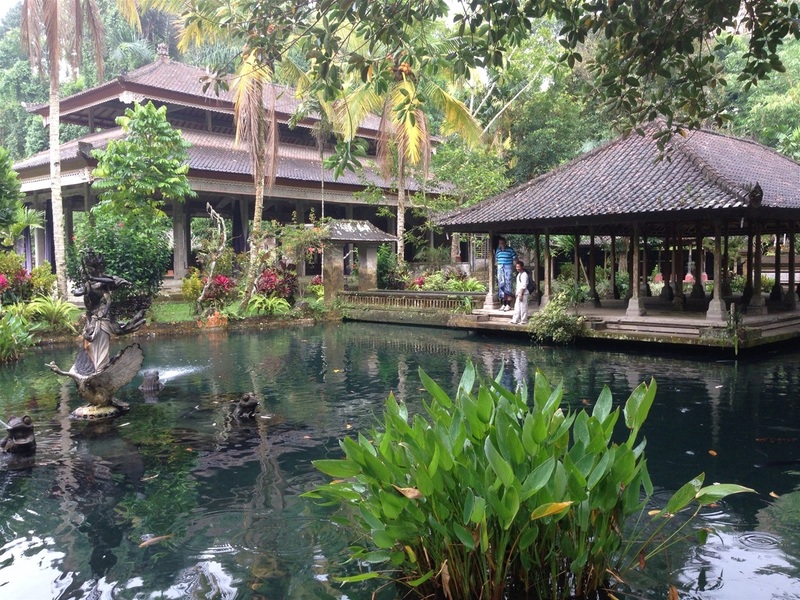 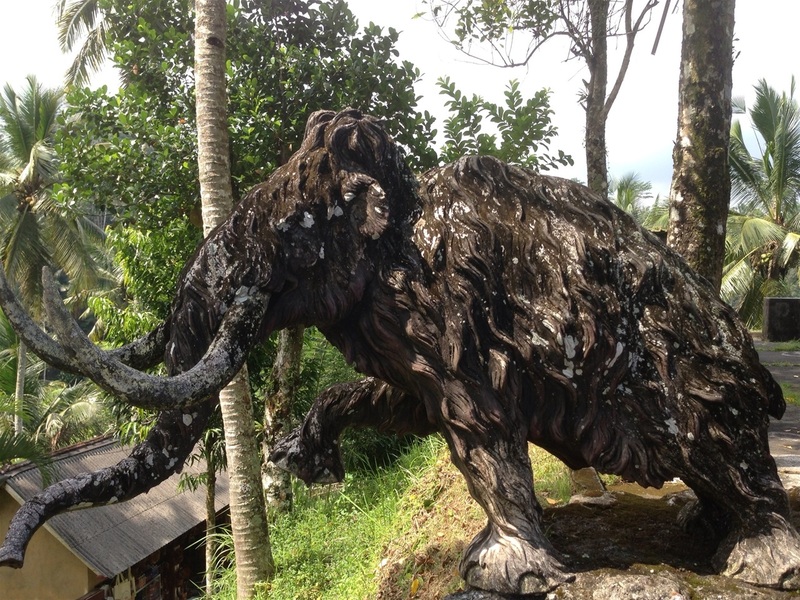 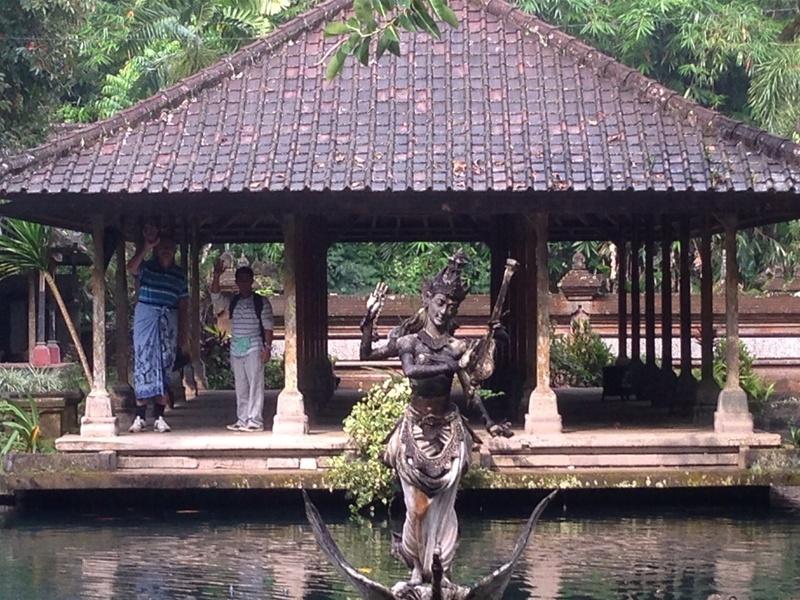 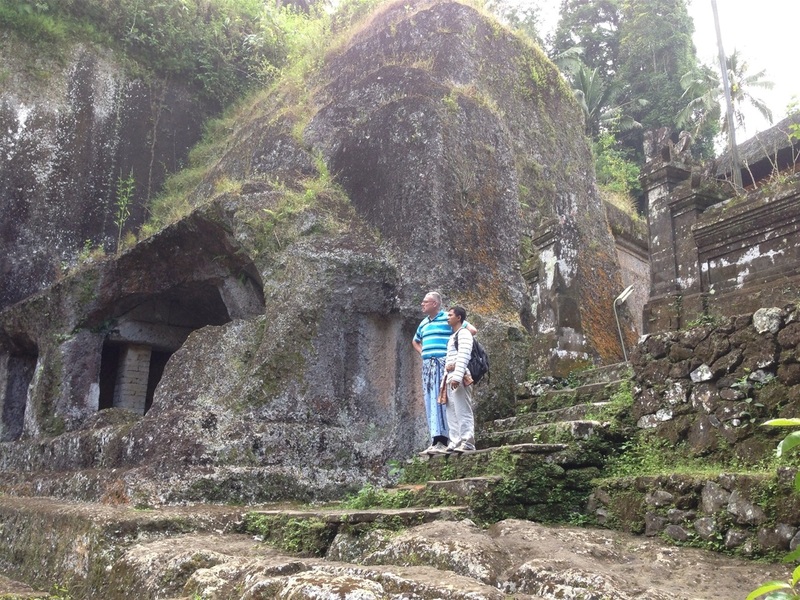 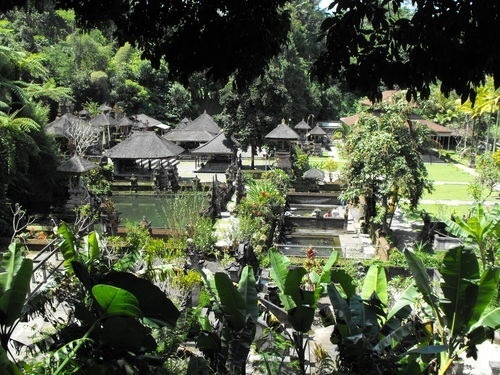 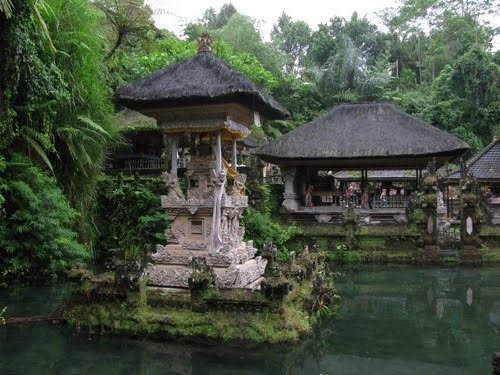 Gunug Kawi is an ancient rocky temple situated in Pakerisan River, near Tampaksiring village - Gianyar Regency in Bali. 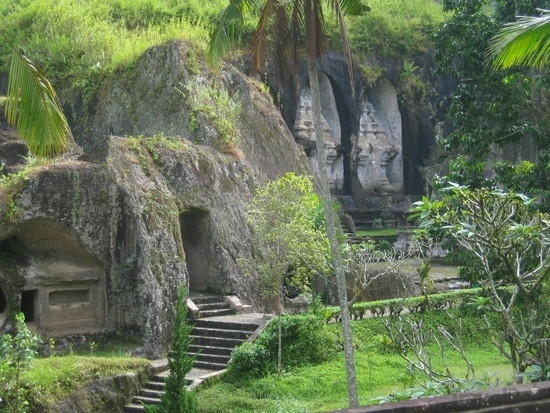 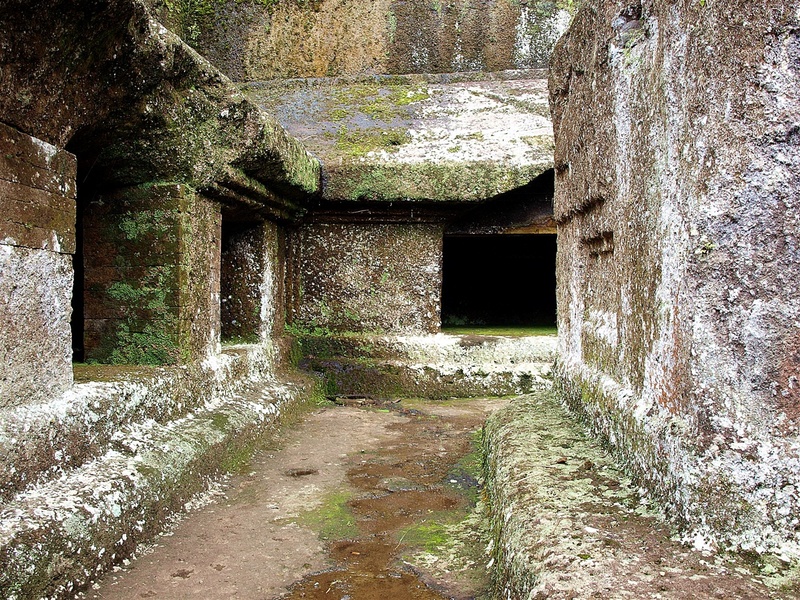 This archaeological complex is carved out of the living rock, dating back to 11th century. 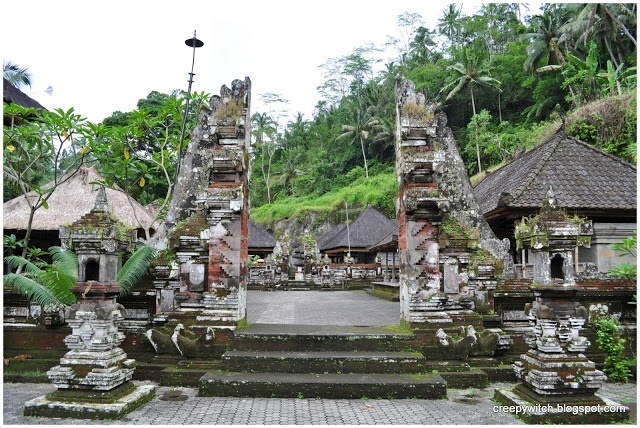 The temple with majesty and richness in history has been proposed by Governor of Bali to be listed on the World Heritage Sites. 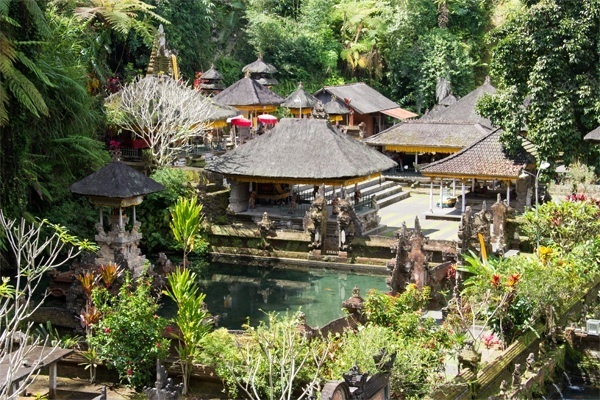 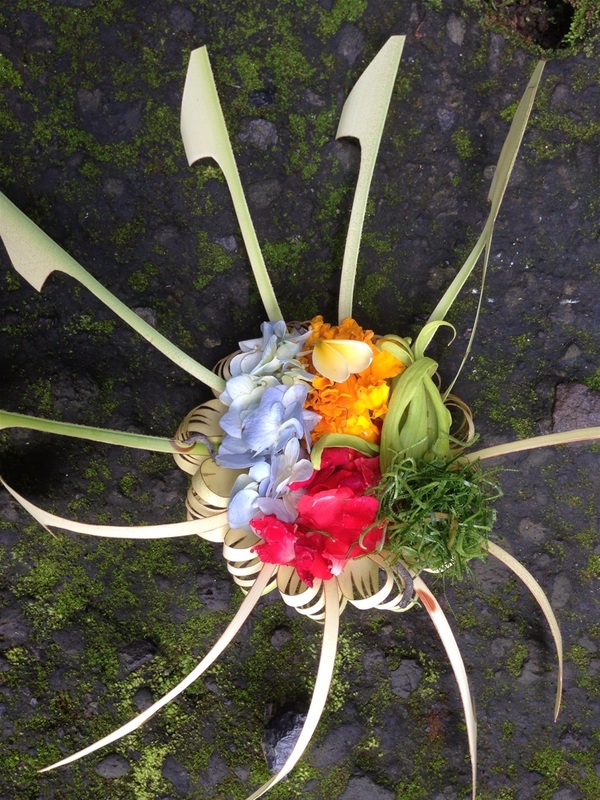 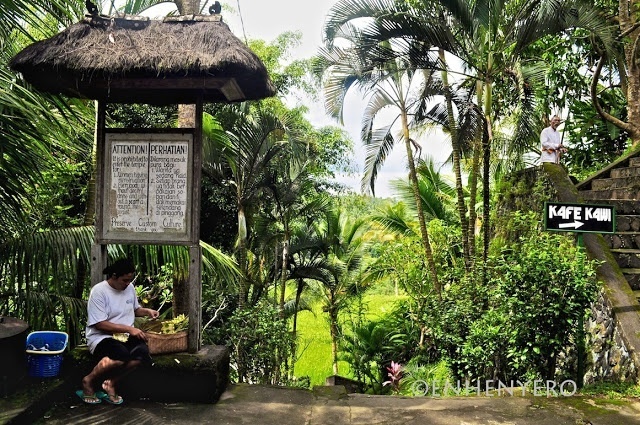 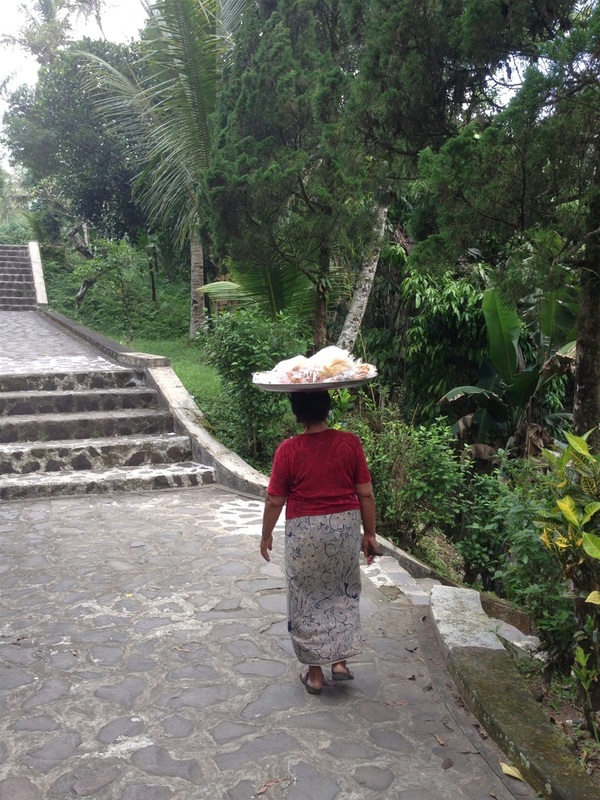 The countryside where the complex is located offers beautiful view of lush and footpath down to reach the temple, passing through spectacular rice terraces. 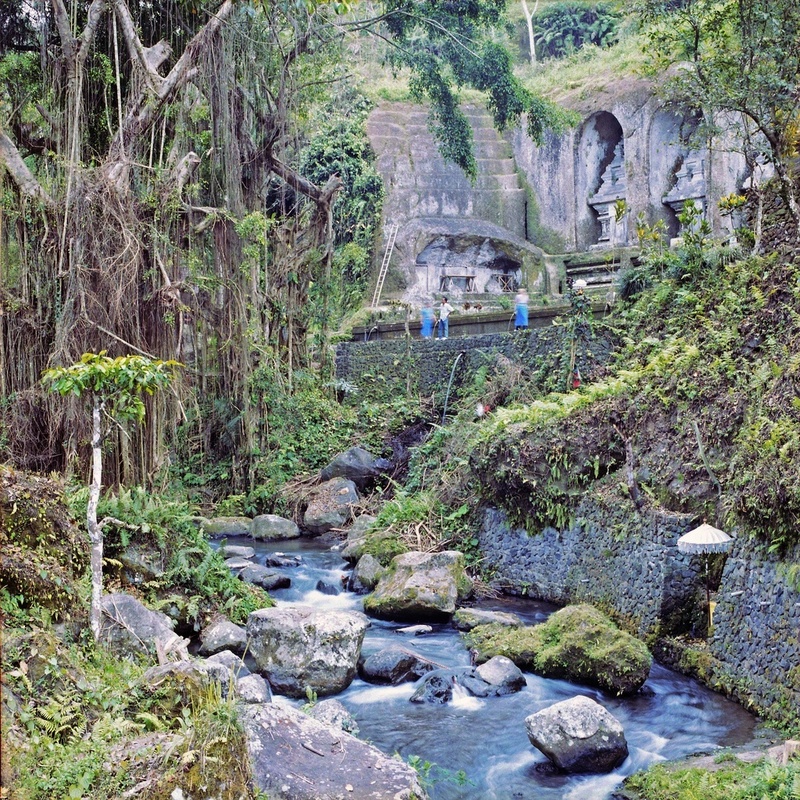 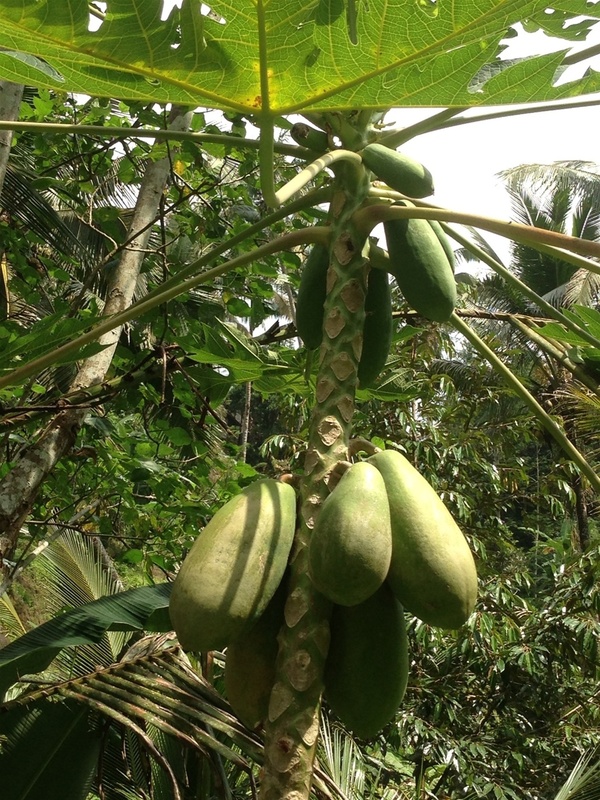 The appealing, mystifying, and magnifying natural sceneries from the footpath, which leads from the road down to the temple will be more impressive, with the sound of water trickling along the irrigation channels at the bottom of a valley. 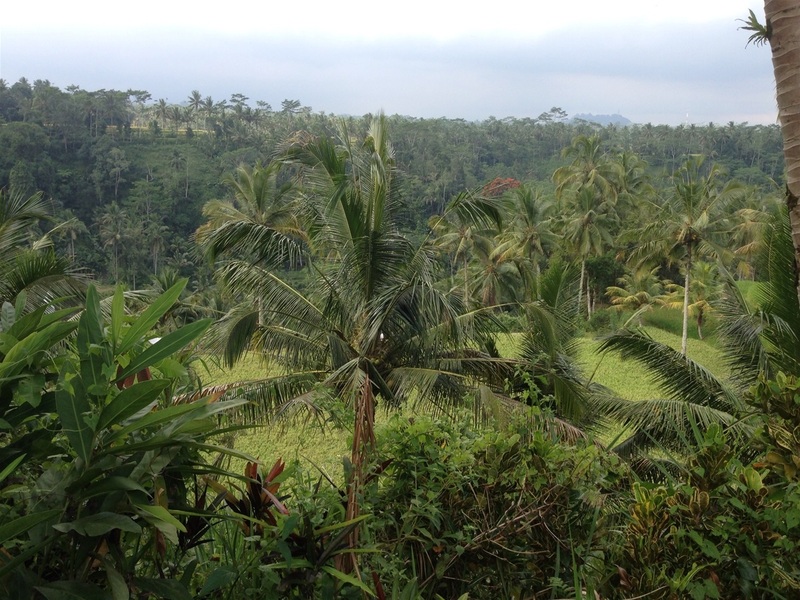 The only sound you hear is that produced by farmers who work on their rice fields. 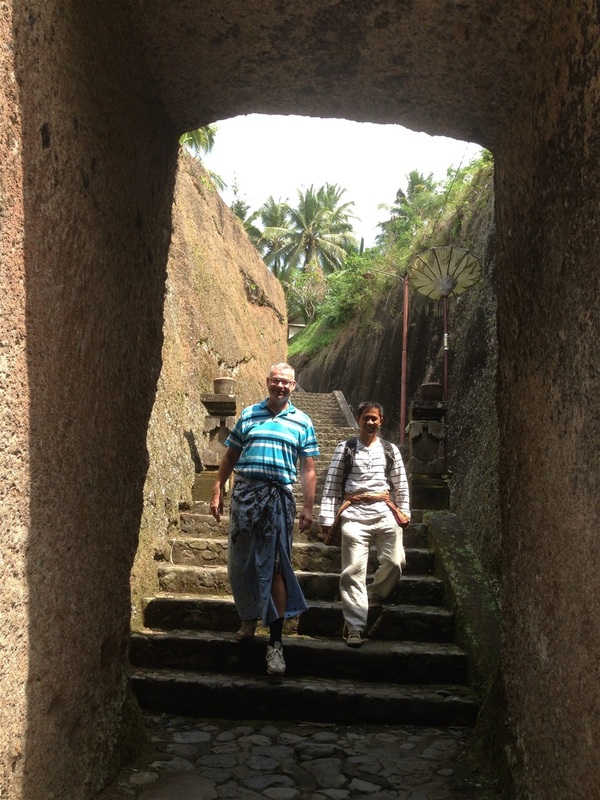 To reach the complex, visitors must walk about 600 meters from the parking lot to the ticket counter then walked down on approximately 315 stone steps. 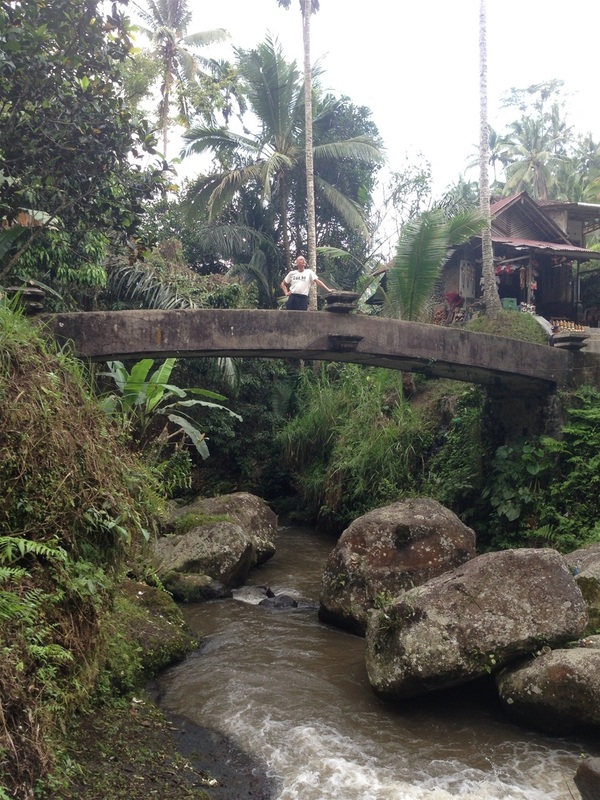 Before taking a cross on the bridge at the bottom of the valley, you can see the first stone monument. 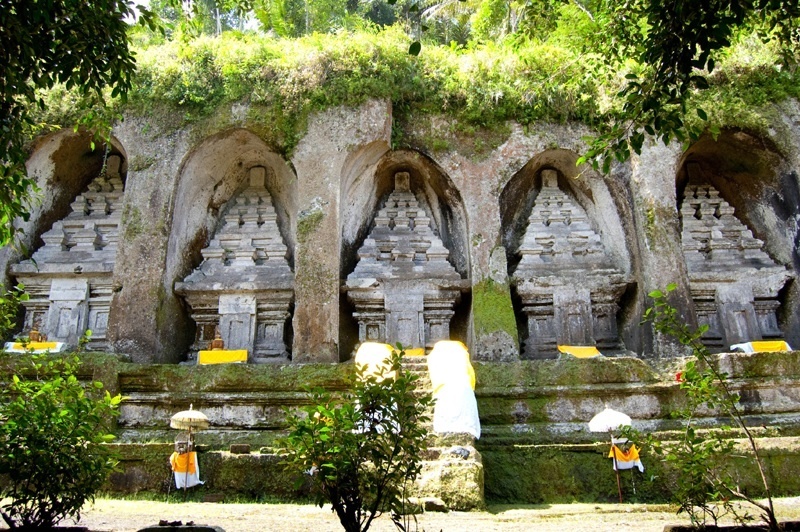 Another group of stone monument is carved on the left side of the main temple across the river.